The Mystical Warriors of the Ring toy line turns 3 years old this month! MWOTR releases have been coming out steadily since the line's debut, and this fall brings some new colors of PVC figures to add to the roster. 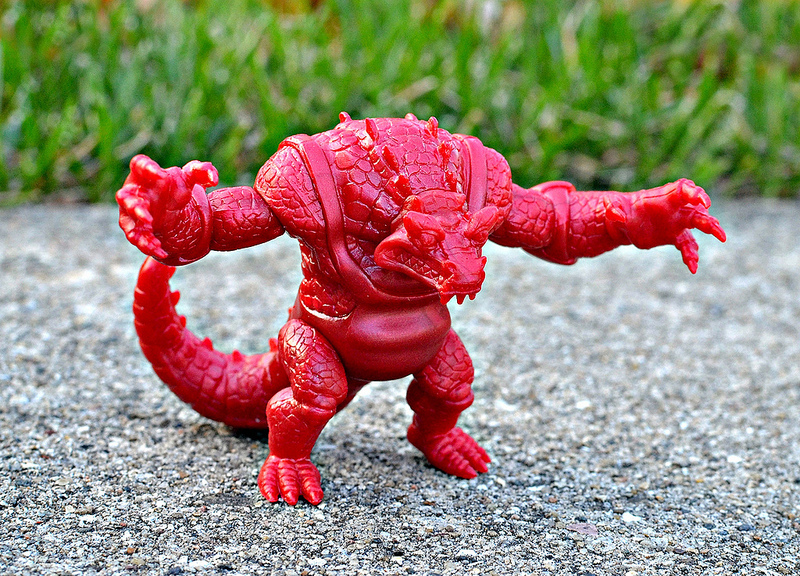 First is the popular Glyos-compatible, articulated Goliath sculpt in red--"Blood Red Metal," to be exact. This metallic red is an extremely attractive color that really suits the character well. It's currently available for $6 through the MWOTR online store. 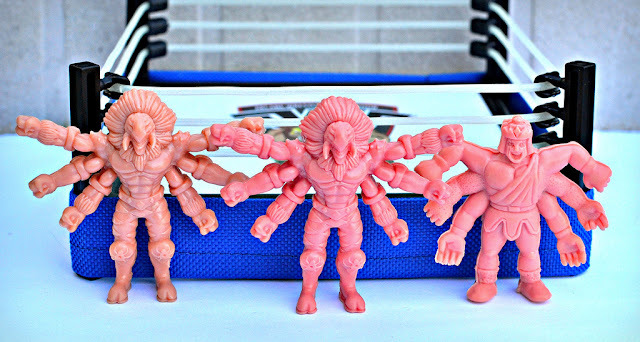 In celebration of the third anniversary, we're also seeing Series 1, Series 2 and Goliath re-released in the most classic color for "little rubber guys"--MUSCLE flesh/pink! 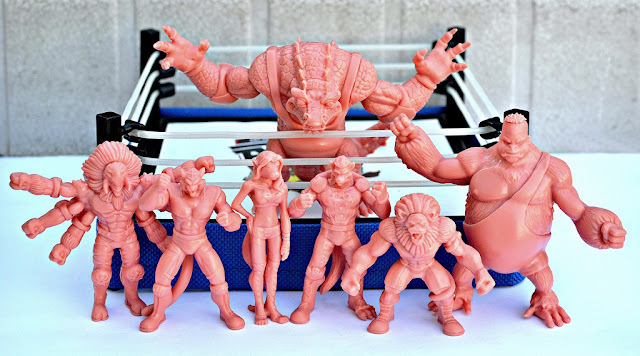 That's a total of 7 PVC figures coming in this color, with Series 1 and 2 consisting of 3 figures each and Goliath packaged by himself. 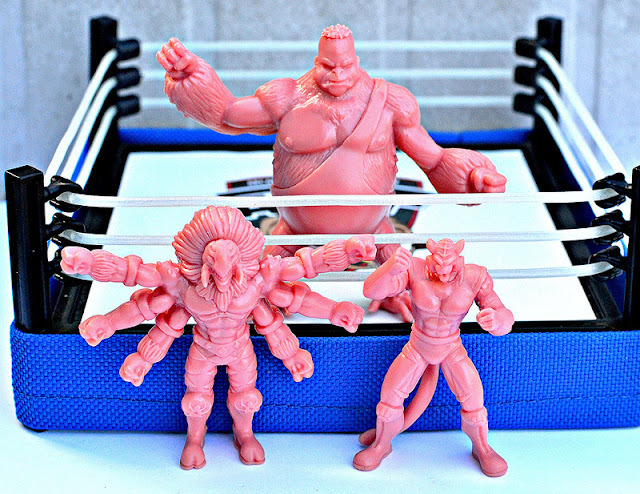 You might remember that the Series 1 three-pack was released in flesh in 2013, but it wasn't that close of a match to MUSCLE flesh. 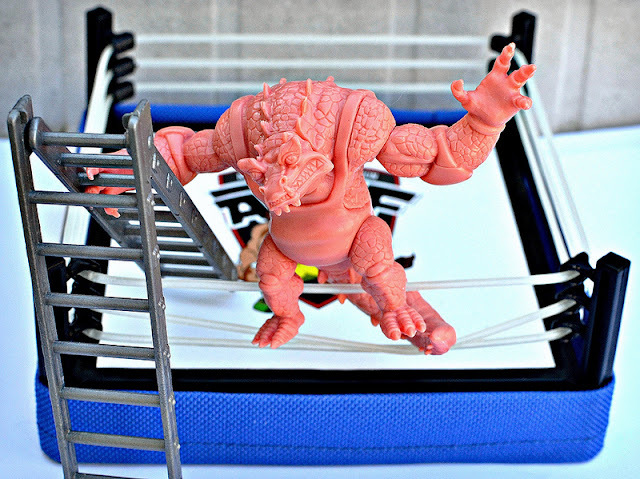 The new release is much more in line with that classic mini figure color so many collectors love. These will debut at Designer Con later this month, with remaining stock to be added to the online store after the show. As always, keep an eye on the MWOTR website for more updates. Did you say flesh eating microbe? I do appreciate the Hindu mystic.How wonderfully frightening this match of figures is. Ah this is a great set. I am quite tempted.